What’s your favorite shoe brand? For many people, they prefer Nike for its iconic creations combined with superb quality. 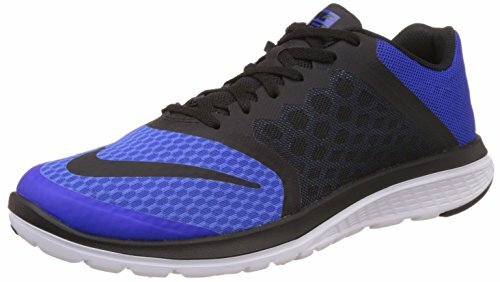 If you are currently looking for the best Nike walking shoes, you’ve come to the right place. Getting the best Nike walking shoes means understanding what it means to be a fantastic product. If you like the aesthetics of the shoes, that’s great! But what else do you require before purchasing your next pair of kicks? One of the most important features of a good walking shoe should be comfortability. Shoe design is nothing if the inside makes your feet feel like they’re trapped in a narrow cave. The most comfortable Nike shoes should be able to balance design with functionality. Sure, you will look good with a pair of shoes, but will those kicks effectively support your feet as you travel from place to place in the city or in your neighborhood? 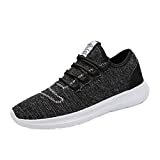 A great walking shoe must be built with the intention of withstanding the usual problems experienced while walking with a bad pair of kicks: heat, restricted range of motion, uncomfortable fitting, and weakness to certain terrains. If your current shoes make your feet hurt as soon as you step on a rocky ground, you’ll know that they aren’t meant for the long haul. It’s important that you have walking shoes that you can readily rely on. You need to find a pair of kicks that will be worth the investment. After all, isn’t buying a great pair of walking shoes considered an investment on the betterment of your overall physical condition? Thankfully, Nike churns out new kicks throughout the year, ensuring that you’ll be able to find at least one pair that will impress you. Nike has been in the business since 1964. They would not have lasted if they didn’t continuously develop their products for an ever growing variety of people. The first sports equipment Nike made were running shoes. Since then, they have successfully expanded their line to cater to basketball players, tennis players, golfers, and even cheerleaders. As such, there is no doubt that Nike is capable of understanding the distinct needs and demands of each group of people. You don’t even need to play any sport or do any outdoor recreational activity to appreciate Nike. 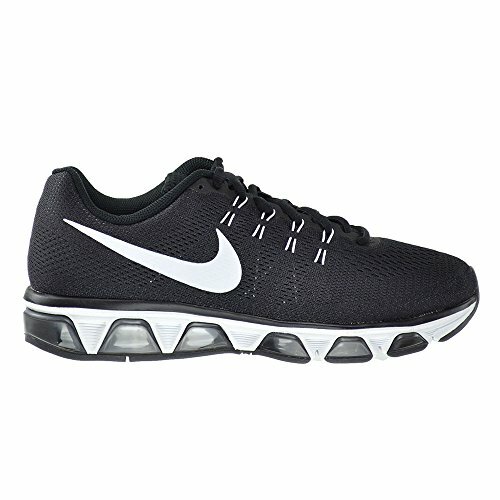 With a single pair of the best Nike walking shoes, your daily trips to school or work will no longer be such a hassle. We’ve carefully picked five of the best Nike walking shoe for men. There were a lot of kicks to choose from, but we think these ones below deserve the most recognition. First of all, let’s get this fact out quickly: The Nike Air Zoom Pegasus 33 is a gorgeous shoe. The way the colors shift from sky blue to a nearly deep, dark shade of blue evokes a sense of speedy and perfectly managed movement. The heel for this Nike shoe was designed to complement your natural movements while the outsole does an amazing job at shock absorption. Regardless of how many corners and curves you walk past, the cushion will always allow for a gentle transition. Likewise, the mesh of the Air Zoom Pegasus 33 was engineered to sheer perfection. Nike clearly wanted to prioritize breathability when they were making this. Even with this level of comfort, strength was never disregarded as the Flywire cables consistently provide support whenever you need it. We won’t even be surprised if the design alone makes you want to purchase this. Trust us, the inner workings of the Air Zoom Pegasus 33 are as lovely as its exterior. Dual-density foam for a plush blend of cushioning. Midfoot Flywire cables lock the foot down. Single-layer mesh for lightweight ventilation. If you’re worried that this Nike shoe won’t have the Flywire cables found on the Air Zoom Pegasus 33, you’ll be elated to know that this second edition of the Dual Fusion X has been improved with two Flywire cables. The midsole and outsole are made of foam and of rubber, respectively, while the breathable upper consists of synthetic mesh. Your feet will be thankful for the padded footbed. Its cushioning not only remains soft but also effectively responds to whatever pressure you put on it. If you’re about to get your first running shoe, this is a good first choice. 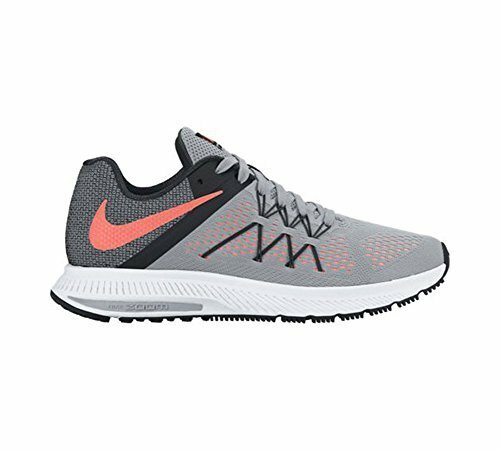 The LunarGlide 8 is definitely on par with the Air Zoom Pegasus 33 when it comes to overall design. 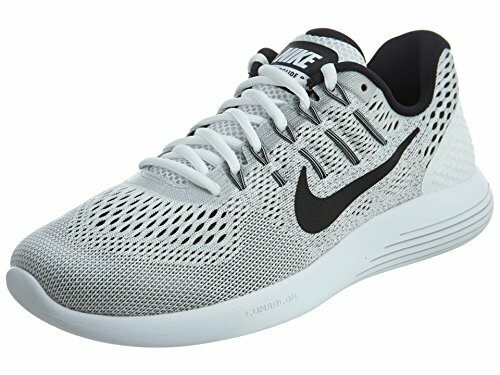 Specifically, the white, black, and gray colors of the LunarGlide 8 are simply stunning. There are many people who like minimalist design, and they will surely adore this one. Regardless of how many hours you walk every single day, these kicks won’t ever fail to give exceptional breathability and maximum cushioning. Thus, the engineered mesh of the LunarGlide 8 is a harmonious marriage between functionality and aesthetic pleasures. The Lunarlon midsole is precisely contoured and cut to the sides for a good reason: For every foot strike, the soft midsole’s sides collapse to provide a smooth stride. Overall, the LunarGlide 8 is a great entry to this list, especially when you finally feel the Dynamic Support platform for yourself. Basically, your feet will feel light and secure in no time. Don’t let the bottom section of the Air Max Tailwind 8 fool you into thinking that this is a gimmicky shoe. What you’re looking at are deep flex grooves. These give both durability and support for your varied natural movements. 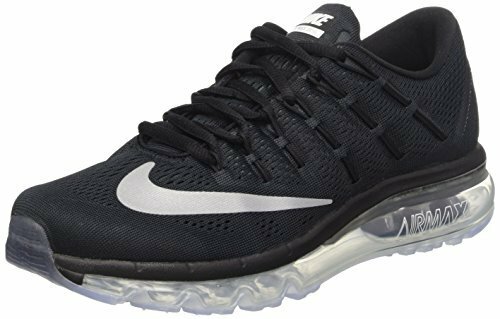 Just like the other impressive shoes recently made by Nike, the Air Max Tailwind 8 has an engineered mesh upper and Flywire cables that dynamically and adaptively fit to your liking. The cushioned midsole is at full-length to completely deliver on impact absorption. Last but definitely not least, the seamless inner sleeves have been constructed in such a way that your feet will stay comfortable for hours on end. The simple yet eye-catching look of the FS Lite Run 3 will impress fans of the LunarGlide 8. 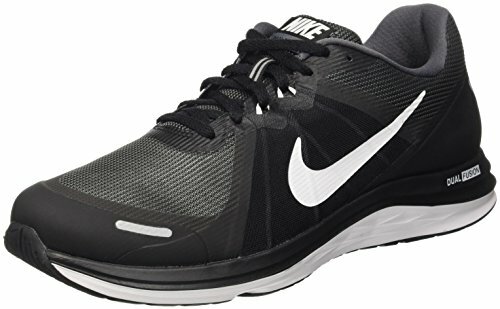 This shoe easily wins as the best Nike walking shoe for men if the design was the sole factor. The FS Lite Run 3 boasts of its Breath Tech feature, which allows for lightweight midfoot support. In addition, the mesh upper has commendable no-sew overlays for surefire breathability. In terms of movement, these kicks support traction across multiple directions through the hexagonal lugs while the flex grooves found on the Air Max Tailwind 8 help with your natural motion range. We also can’t help but appreciate the light dual-density midsole for its remarkable cushioning and responsive properties. Now that we’ve finished providing the best Nike walking shoes for men, it’s time to identify the most comfortable walking shoes for women. As always, these picks show the best kicks Nike has come up with when it comes to functional design. One of the best things Nike has ever come up with is the Flywire cable, and we’re glad that the Zoom Winflo 3 utilized these cables. Regardless of your walking distance, the cables won’t stop from supporting you while staying lightweight. The special feature of the Zoom Winflo 3 is its Waffle outsole. It’s made of rubber for enhanced durability and traction on different surfaces. These kicks also contain flex grooves, an engineered mesh forefoot, and a cushioned midsole for guaranteed breathability and comfortability. In fact, stepping in these kicks for the first time will make you think that they’re pillows because of the utter softness. We already admitted that the Zoom Winflo 3 has one of the best-cushioned midsoles out there. However, we can’t deny the fact that the Lunar Skyelux is just as comfortable. The engineered pods located underfoot effortlessly absorb any impact. The dual-density foam of the Lunar Skyelux keeps each step as painless as ever. You’ll also find the plush collar to be a great addition as it covers the ankle for added support. And if that’s not enough, the Flywire innovation works with the laces to snuggly wrap your feet. In turn, this generates lateral support. Likewise, the Flywire tech makes your feet feel locked-in without the unnecessary grip. We love the straightforward look of the Nike Free RN. It harkens back to the old yet iconic designs of Nike. 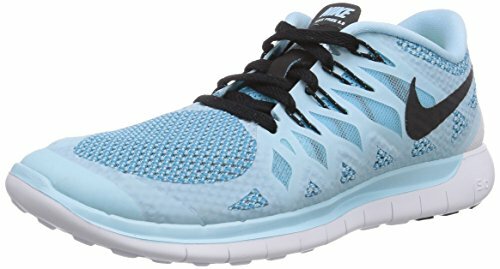 The Nike Free RN is definitely one of the best Nike walking shoes for many reasons. First and foremost, it’s undoubtedly more comfortable than its already well-cushioned predecessor, the Free RN Motion Flyknit. It features a fresh midsole pattern that’s not without function. As you take each step with this shoe on, the midsole pattern contracts and expands accordingly with your feet. The midsole’s innovative tri-star pattern provides unmatched flexibility, allowing you to move much more dynamically than ever before. You don’t have to worry about your feet feeling hot and tired, thanks to the light mesh upper. We promise you that it’s as cool as it can be. In addition, you will notice that the heel is rounded. This was done to imitate the shape of your feet so that the heel could naturally roll with the ground. The admirable features don’t stop there since the Nike Free RN contains a minimal sock liner. This adapts to the shape of your feet to provide additional support. Finally, right under the shoe’s toe and heel section are the light yet solid rubber portions delivering durability and improved traction. What would this list of the best Nike walking shoes be without the inclusion of another Air Max? This time, we’ve got the Air Max 2016. It’s definitely more rugged-looking than the other kicks, but it’s just as comfortable. This edition of the Nike Air Max has several of the best features. First, the Flywire cables cooperate with your laces and supportively wrap around the arch of your foot. Second, the engineered mesh freshens your forefoot through efficient ventilation. The same mesh also assists the midfoot area. Third, the sleeve inside the Nike Air Max 2016 creates additional cooling. This inner sleeve is partially made of mesh and produces a sock-like fit. Fourth, the full length of this shoe features a tubular design that amplifies overall flexibility and underfoot comfort. We love how the 2016 edition of the Nike Air Max has maximized the comfort a shoe could ever provide. The foam feels luxurious and the mesh tongue is cozy. Additionally, the Nike Waffle outsole doesn’t disappoint and assures durability and increased traction on different surfaces. 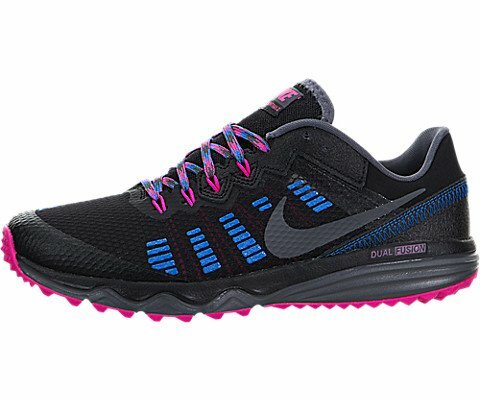 Finally, we have the Nike Dual Fusion Trail 2. You’ll love this shoe if your walks last for several hours every single day. The tough Waffle outsole ensures sturdiness and traction throughout your trips. Thankfully, breathability isn’t an issue with the Dual Fusion Trail 2. The mesh upper has resilient leather details while still allowing ventilation. Flywire cables and the dual-density foam produce comfort, support, and a tight yet pleasant fit. If that wasn’t enough, the lugs are tapered for added grip. We’ve given you a variety of options for picking the best Nike walking shoes. In total, we’ve highlighted ten pairs of kicks that have passed our requirements. 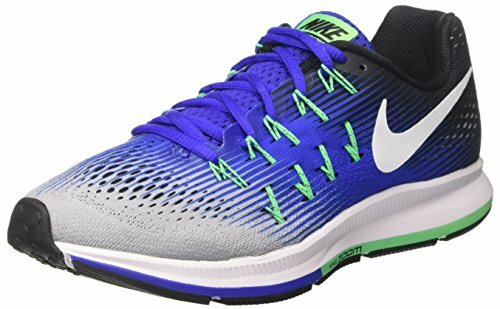 It’s not hard to personally recommend some of these shoes, including the Nike Air Zoom Pegasus 33 and the Nike FS Lite Run 3, but that’s only because we favor their designs over the others. We don’t know if you like a minimalist design or a colorway that’s strikingly vibrant. It’s entirely up to you when it comes to that department. Some of the best features Nike has provided us include the Flywire cables for support and adaptive fitting, the flex grooves for durability and natural movement, and the engineered mesh for enhanced breathability. What we can assure you is that all of these Nike shoes have proven themselves worthy of being worn day in and day out. Whether you’re going for a stroll at the park during the weekend or you’re hurrying to go somewhere on a weekday, these shoes will keep your feet comfortable and cool as you reach your destination. So stop worrying about your feet quickly getting hot and tired and confidently walk with a great new pair of shoes.